Australia had been inhabited for thousands of years by Indigenous Australians before European contact. Windsor, one of the oldest towns in Australia is located in New South Wales to the northwest of Sydney. The town is based on banks of the Hawkesbury River and houses a population of 1,803. European settlement in Windsor first started in about 1791 and soon the population prospered by taking advantage of the fertile soils of the river basin for agricultural purposes. Originally, the area was referred to as Green Hills but was later named after Windsor in England. 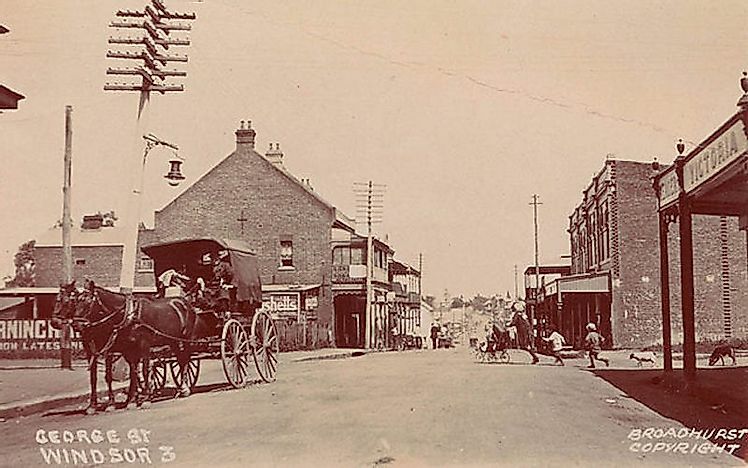 On December 15, 1810, the town was officially recognized in a Government and General Order that was issued by the Government House based in Sydney. Soon, Governor Lachlan Macquarie passed the order to construct a church, school, gaol, and "commodious inn” in Windsor. The most notable building from this initial period is the Francis Greenway's Saint Matthew's Anglican Church of Windsor. The importance of the Windsor settlement was realized when in 1813 there was a report that France would attack the granary in Windsor to cut off grain supply to Sydney. The invasion, however, did not happen. The agricultural potential and accessibility of Windsor by coastal shipping from Sydney allowed the population here to thrive. The large-scale agricultural activities soon caused major silting in the Hawkesbury River. This fact led to the blockage of the navigational pathway for ships from the coast to Windsor by the 1890s. However, the railway and roadway were already established by that time. Kingston is the capital of Australia’s Norfolk Island. As one of the oldest towns in the country, Kingston is associated with great cultural and historical significance. The town was established on March 6, 1788 by Lieutenant Philip Gidley King and of its first 22 settlers, 9 male, and 6 female convicts were also included. This small group had sailed from Port Jackson, a newly established British colony in New South Wales on the HMT Supply. Initially, Kingston was known as Sydney Bay or Sidney and was later called the Town of Sydney to honor the British Home Secretary, Viscount Sydney. The old town of Kingston today exists as several irregular winding lanes at the Kingston Pier’s head. The modern town was planned by the Royal Engineers in the 1830’s and exhibits a Roman-style grid plan. Today, the town is part of the UNESCO World Heritage Site of the Kingston and Arthurs Vale Historic Area which was inscribed by UNESCO on July 31, 2010. Parramatta is considered to be the second earliest European settlement in Australia after Sydney. 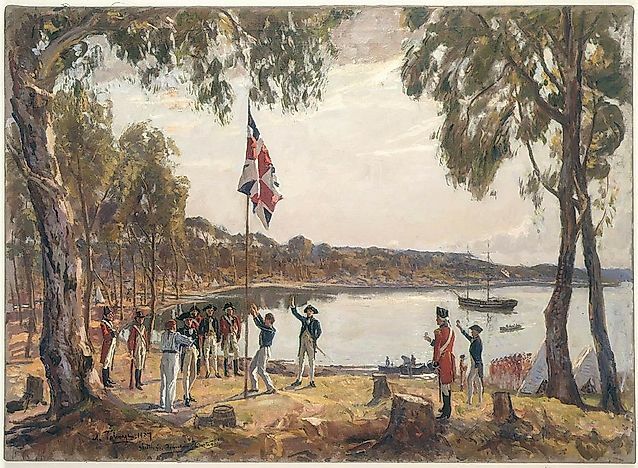 The British founded both Sydney and Parramatta in 1788. Today, the latter is a suburb and major business hub in the Sydney metropolitan area. Human activity occurred in Parramatta as far back as 30,000 years ago according to radiocarbon dating evidence. The area was inhabited by the indigenous Darug people before the arrival of the Europeans. These people regarded the area as a fertile area with abundant food and water supply. The settlement at Parramatta is only 10 months younger than Sydney. When the convicts and British colonists arrived on the First Fleet at Sydney Cove on January 1788, they realized that the soil at the cove was too poor to grow anything. 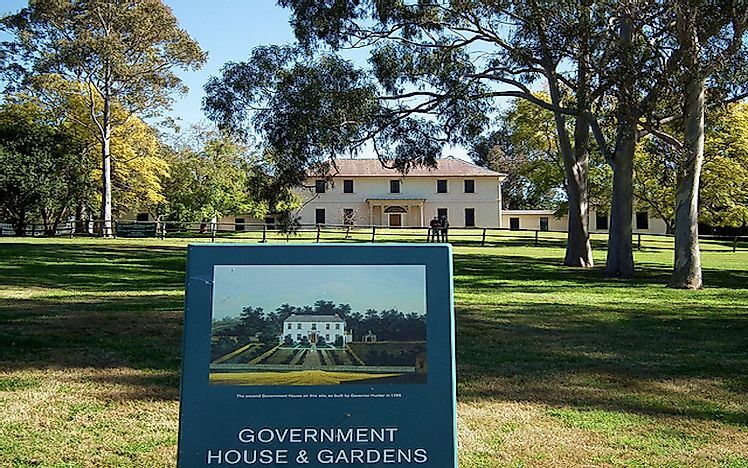 They needed food supplies to sustain them over a long period of time and hence the fertile region of Parramatta was selected by Governor Arthur Phillip as the site to build a large farm. It was located at a point where the Parramatta River became freshwater and also could be easily accessed from the coast via the river. Soon, by November 2, 1788, a settlement in the region was started. It was initially called George Rose but later the original indigenous name, Parramatta was used again. The first grain in Australia was cultivated here and also the site was where the Australian wool industry first developed. Governor Arthur Phillip built a house for himself here which was later expanded by other Governors. It is today called the Old Government House and is a historic site hosting a museum. It is the oldest surviving public building in the country. A famous incident is also related to Parramatta. In 1803, a convict who was sentenced to death for murder miraculously escaped the hanging process thrice due to accidental causes. He was then pardoned as it was believed to be divine intervention that saved his life. Sydney, Australia’s most populated city and the state capital of New South Wales, has a long history as it is the earliest European settlement in the country. The city, located on the east coast of Australia, is a bustling metropolis. Indigenous Australians were the original inhabitants of Sydney. Humans were active here from about 30,735 years ago or possibly even further back. Before the British arrived in Sydney, the area was already inhabited by about 4,000 to 8,000 people.The Indigenous Australians and Europeans first came in contact with one another on April 29, 1770, when Lieutenant James Cook landed at Botany Bay. Cook moved on instead of settling down but claimed the land as belonging to Britain. On 1776, Britain decided to use the land discovered by Cook as a new penal outpost. Originally titled "New Albion”, the name was later changed to "Sydney" honoring the 1st Baron Sydney. On January 18, 1788, the first fleet of 11 ships carrying convicts arrived in Sydney. Until the year 1792, 4,300 convicts landed there in total. While the newly landed Europeans suffered from starvation due to low supplies, the native population died in masses due to small-pox brought to them by the new-comers. Violence between the natives and British settlers was also common during this time. 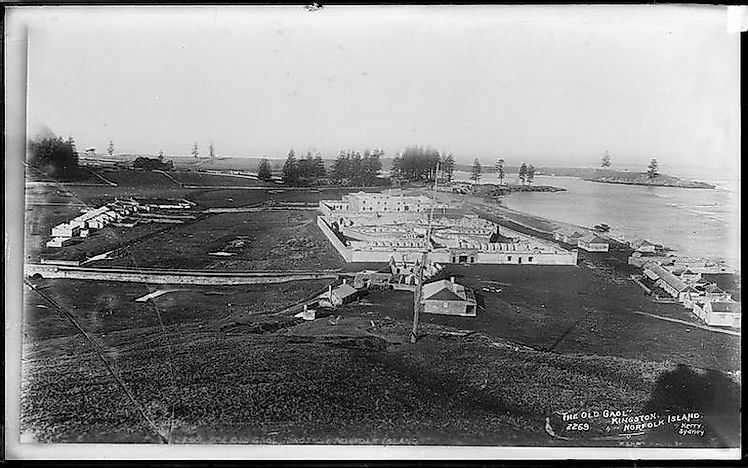 Roads, wharves, public buildings, etc., were constructed using convict labor. By 1822, Sydney already had banks. By the year 1840, the final convicts had arrived and the town had a population of 35,000. Sydney became Australia’s first city in 1842. In 1851, gold was discovered here which ushered in an era of prosperity and large-scale immigration. 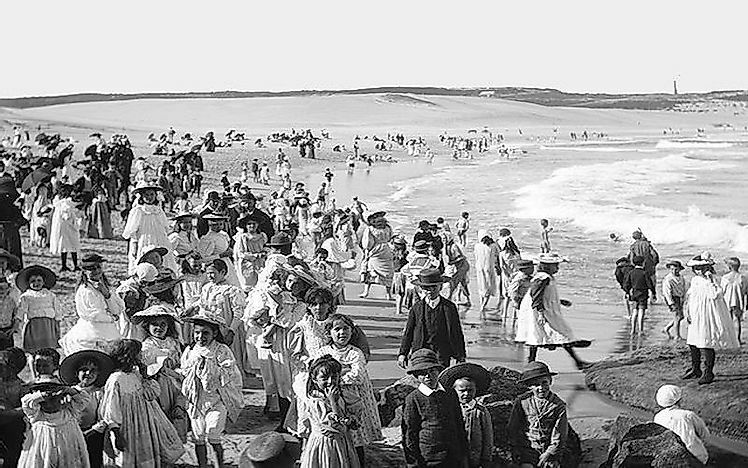 Despite the economic loss suffered during the Great Depression of the 1830s, Sydney’s population continued to grow to reach 1 million in 1925. Since then, the city has thrived and is today a well-developed, modern city with high tourist and business potential. Which Are The Oldest Settlements In Australia?